Recently, I announced that I founded a little business. Well, it’s so far so good in Beer Paws land. The Facebook page is active. The official website is live. Beer Paws products are available at my online store, at Kennel Creek Pet Resort and on Kansas City’s food truck for dogs GoodDog2Go. And the sales – with a portion of proceeds directly supporting Tessa, a Midwest Adopt-a-Bull dog – are happening. 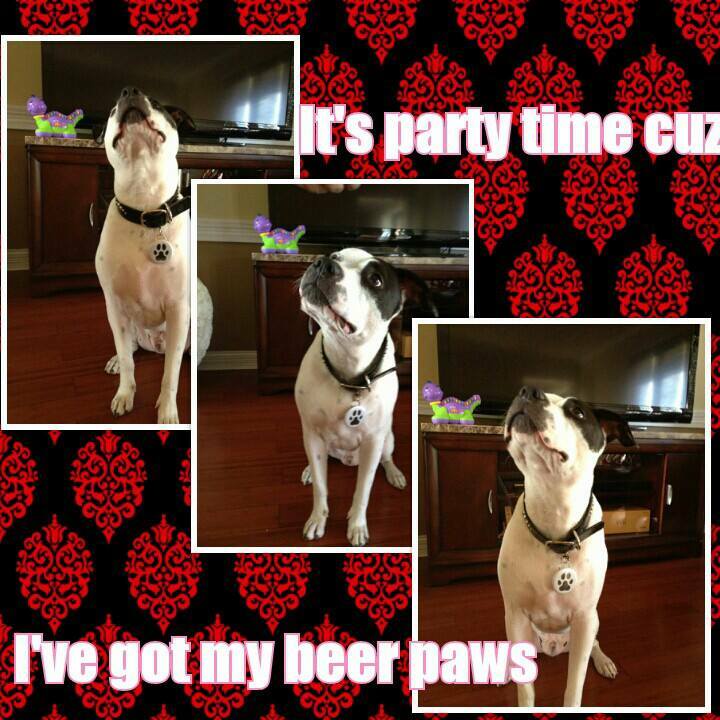 Beer Paws have also been seen on dogs who live very far away! It’s so exciting for me to see Team Beer Paws growing. And, of course, I want it to get even bigger. So, I’m hoping you all will help me spread the word, in exchange for an opportunity to win something cool. The bottle is awesome. The screw top lid opens two ways. 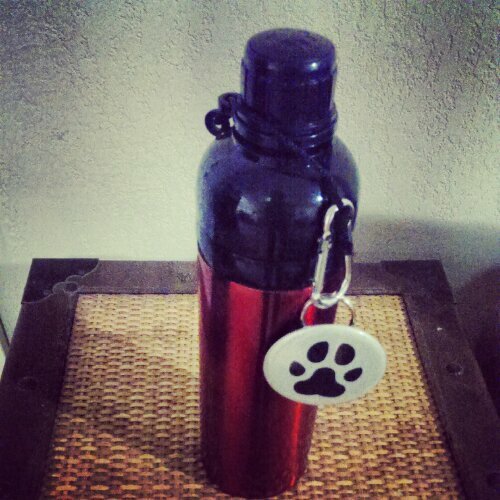 The bigger opening allows you to fill it with fresh water for your pooch. The smaller, top opening contains a ball bearing that controls the flow of the water so your dog can drink from it. 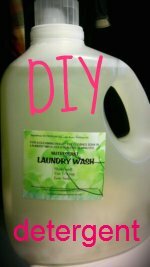 You can find similar bottles all over the internet for $10-$20. One winner will get this one for free plus one of my bottle openers. This giveaway is in no way endorsed or sponsored by Facebook. Entries close at 12:01 a.m. CST Sunday, June 2. One winner will be randomly selected via random.org and contacted by email. If the winner does not respond within three days, a new winner will be randomly selected. Stories of people who strike out to follow their dreams are always inspiring. The Queen of Paws and her dog Mykos. Christine Gregory is the Queen of Paws – well, she is the woman behind a pet business of that name, anyway. Through her shop and QueenofPaws.com Christine offers her four-legged customers an assortment of posh and local products, from apparel to treats and bath supplies. I envy her for the days she gets to spend at her Prairie Village, Kansas, shop, surrounded by fun pet stuff and the dogs who come in for grooming, aromatherapy and a romp in her day play studio. Recently, I asked Christine to tell me more about her business and how it came to be. How did you become a dog person? When I was a little we got our first Shihtzu, Shasi Ling. Since I never had 2-legged children, the 4-leggers have been my babies. I can’t imagine my life without one. Tell us about the special dog in your life. Mykonos “Myko” Tai Ling which he’s named after my favorite Greek Island & he was also given the middle names of Shasi Ling & Tashi Tai. Never considered a male doggie but when my mom & I met him we fell in love! When my days are sad or even happy, Myko is always right there to brighten my day even more. 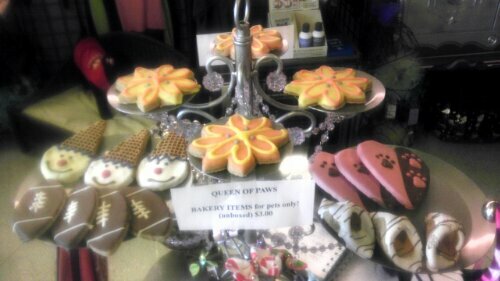 What do you want Queen of Paws to be for customers? We cater to our clients’ loved ones, providing them with a day of relaxation and pampering. Our belief is that our customers’ needs are of the utmost importance, and we’re commited to meeting those needs. Customers love the intimate setting and special attention they get along with their pets. Our boutique offers unique specialty items for the pet that likes the best! How long did you have your online store before you were able to open the brick-and-mortar location? Prior to the brick-and-mortar location my mother & I traveled the midwest setting up a booth to sell my designer collars and other boutique-related items for 6 years. Three years ago an opportunity came my way to rent space within a co-op to sell my designs along with a broader array of items. During that time is when I started my online store and August 1, 2012, is when I branched out on my own. What is it like to have a pet-based business right now? It’s a dream come true! It’s not about being self-employed and my own boss. It’s truly a labor of love. Being surrounded with pets day after day, giving them the love and attention they deserve is so fulfilling. I worked in corporate America for 22 years and knew it was time I go after a dream that my mother and I shared for many years. Besides being with my 4-legger clients and carrying on a dream in memory of my mother. How do you choose products to feature in your shop? I travel to pet trade shows to see the new trends. 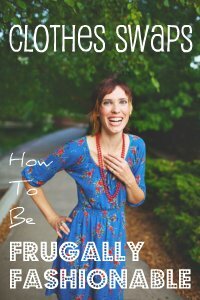 A lot of research goes into selecting what I will feature in my boutique. If it’s not something I would give Myko, then I won’t have it here. Quality is very important to me. If I don’t believe in it, then I obviously can’t sell it. How does supporting animal rescue help build your business? There are too many pets that are homeless and in need of medical care. I believe in giving back to the community and to the animals that give us unconditional love. I host adoptions in my facility along with events benefiting local charities for animals and humans. I don’t believe in profiting from the sale of animals and supporting puppy mills and backyard breeders. Please spay & neuter. Adopt, don’t shop. 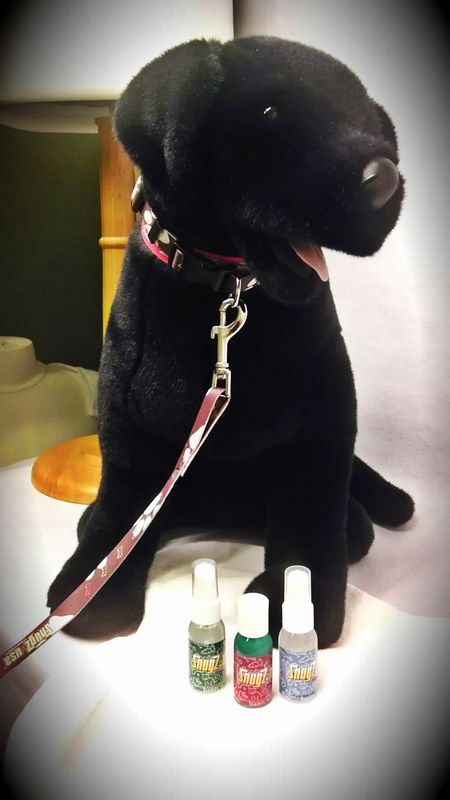 Queen of Paws is giving Wayward Dogs readers a chance to win a locally-made product that will help make your pet more kissable for Valentine’s Day. For your chance to win an 8-oz bottle of Rupert’s Smoochable Doggie & Kitty Mouth Spray, just follow the directions at the link below! This giveaway is now closed. The randomly selected winner is Krystal Miller. Check out the ad for Queen of Paws and other fun pet-based businesses in my Valentine’s Day gift guide for dog lovers. To learn more about the giveaway prize, check out my Rupert’s review. This post and giveaway is sponsored by Queen of Paws. Linda Brown has never met my foster dog but in a rather direct way, she touches him every day. Charlie Machete in the “dante” design. 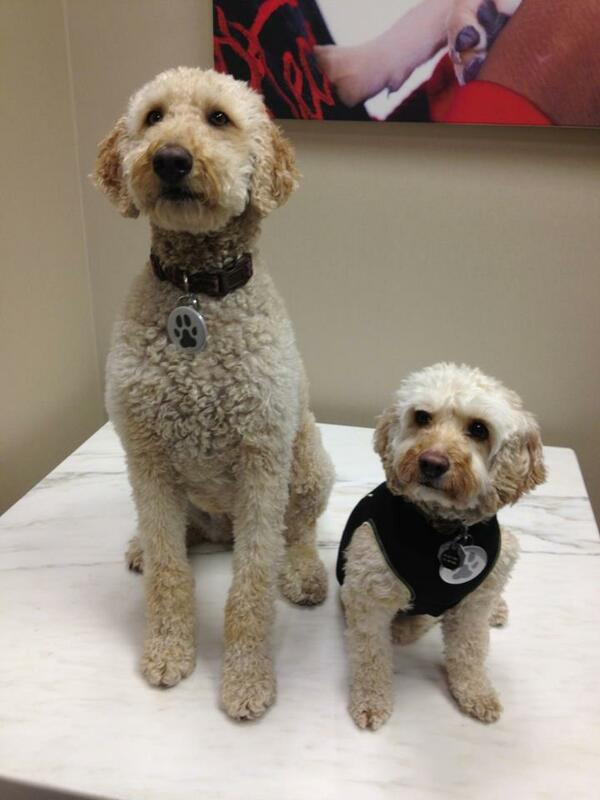 Linda’s handiwork (literally the work of her hands) graces the necks of dogs all over the world. She’s the designer behind waggiwear™ collars and leashes, a cheery line of colorful pet accessories handmade in Mission, Kansas. Prior to meeting Linda, I had never purchased a handmade collar for a dog. When it comes to dog accessories, I tend to opt for utility over fashion. I hate to see my rough and tumble pups destroy something beautiful. However, I noticed the durability of waggiwear collars on other dogs. And after Charlie Machete returned from his failed adoption, I felt the need to celebrate him with an accessory that would help catch people’s eyes. So, I reached out to Linda. 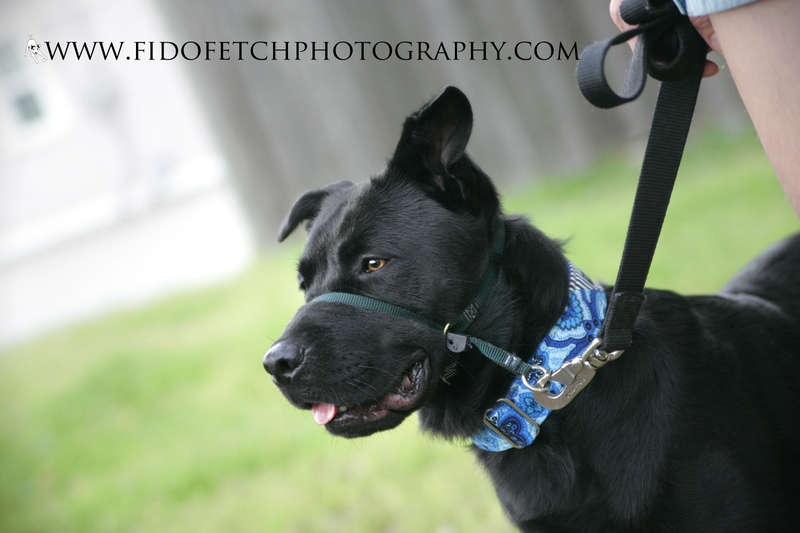 She met me at a coffee shop, and I bought the “dante,” a beautiful blue collar named after a dog that belongs to Amy of Fido Fetch Photography. Although he hasn’t found a forever family yet, the pop of blue against Charlie Machete’s coal black coat never fails to earn him attention at adoption events and anywhere he meets people for the first time. What impresses me most about waggiwear, though, is the fact that the collar never slips off his head. Prior to outfitting him in waggiwear, this was a serious problem in our household. I can think of at least three separate occasions when I grabbed Charlie Machete by his old, cheap buckle collar, he wiggled his head out of it and rushed immediately into a tangle or the street. I can honestly say that since he began wearing it every day, Charlie Machete’s waggiwear collar has saved us a lot of trouble, if not his life. 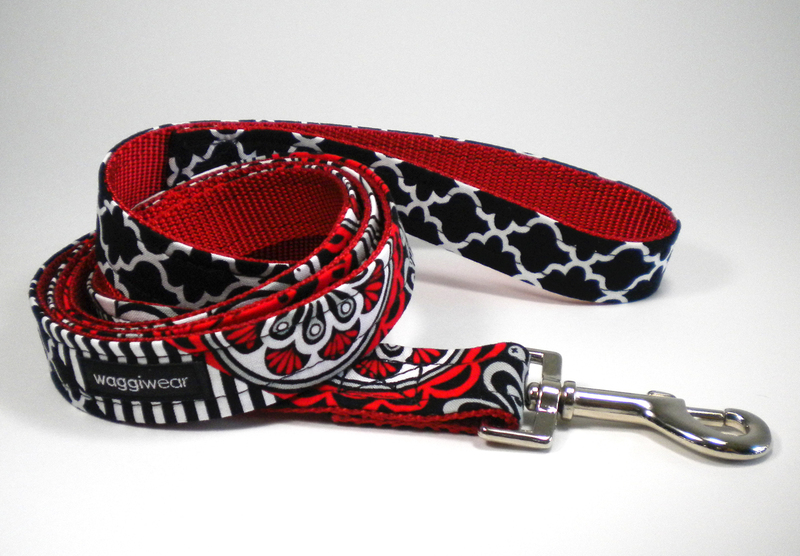 We don’t have one yet, but Linda also makes leashes to match the waggiwear collars. And she debuts fresh designs of all her products throughout the year, including around holidays, such as Valentine’s Day. 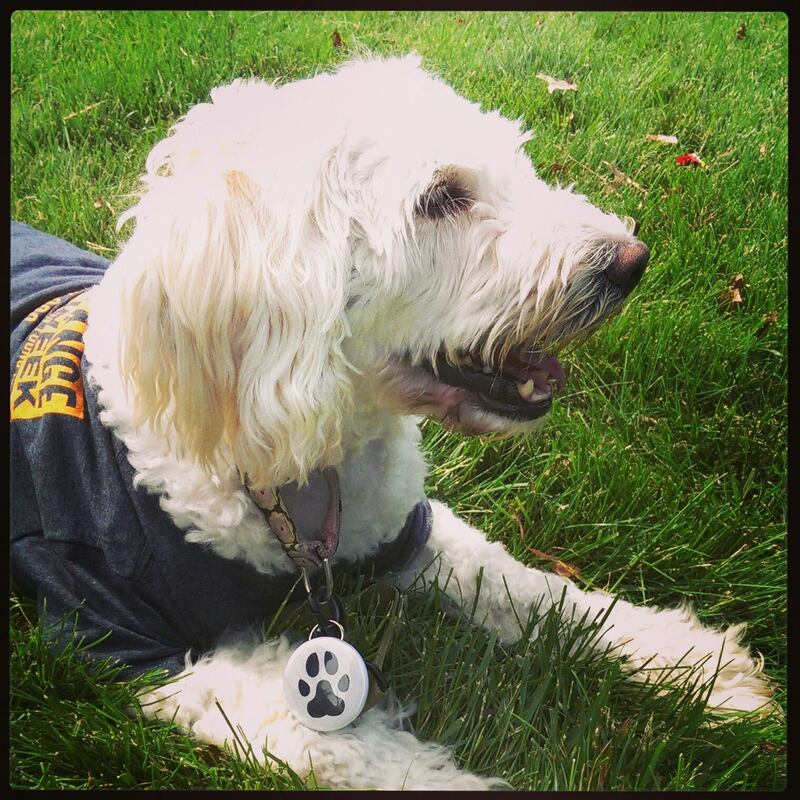 Waggiwear isn’t just for dogs, either. 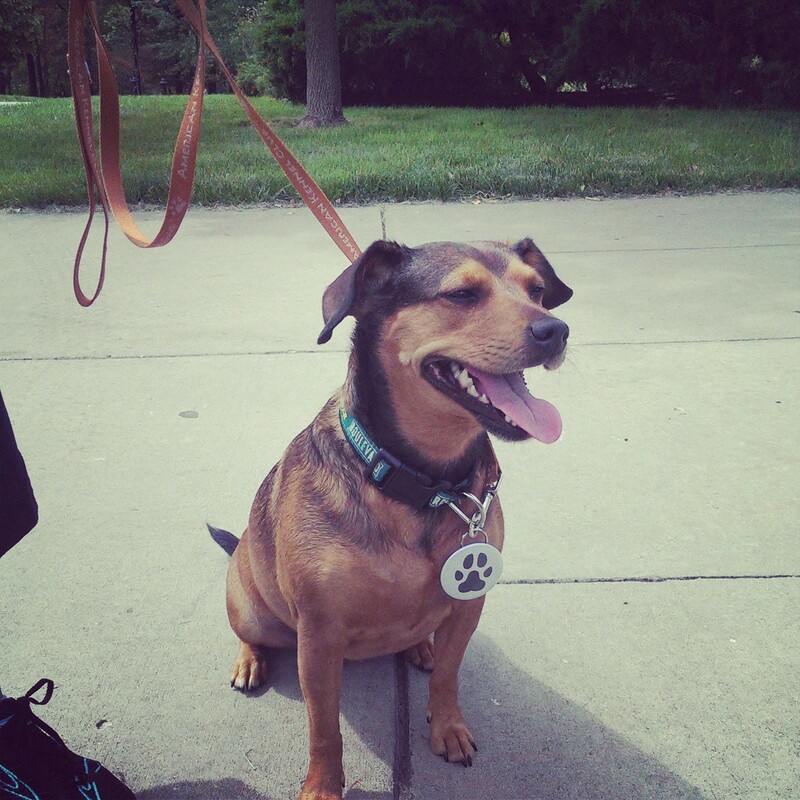 Last year, Linda introduced an accessory for dog moms – wristlets. 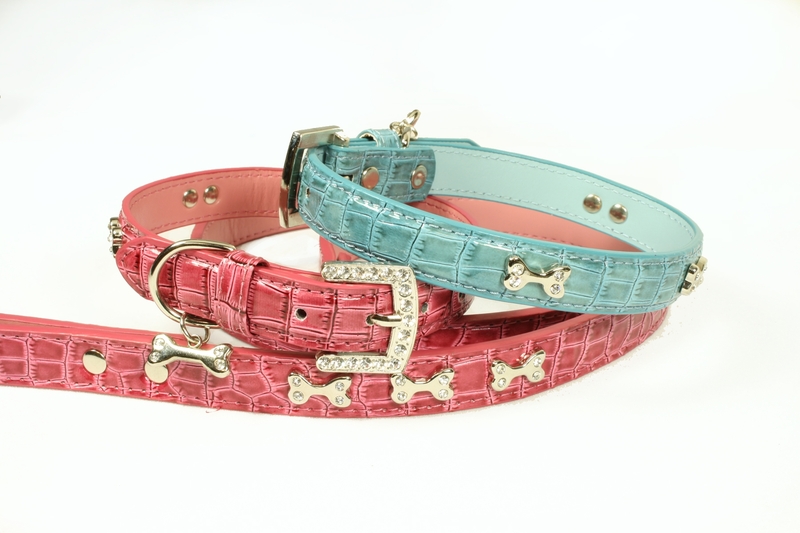 These handy items are available in the same designs as the collars and leashes. They’re ideal to use for your keys, or to turn almost anything into something with a wrist strap that just happens to match what your dog is wearing. One lucky Wayward Dogs reader (with a U.S. mailing address) will win your choice of a “sweetie pie” or “lover boy” wristlet. For even more fun Valentine’s Day gift ideas for dogs and dog lovers, check out my Valentine’s Day gift guide! This post and giveaway is sponsored by waggiwear. 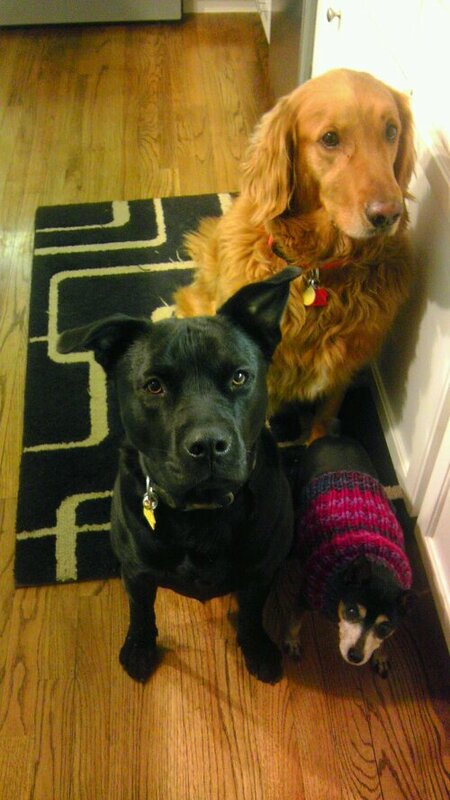 The words “rescued and loved” accurately describe every dog that resides in my house. 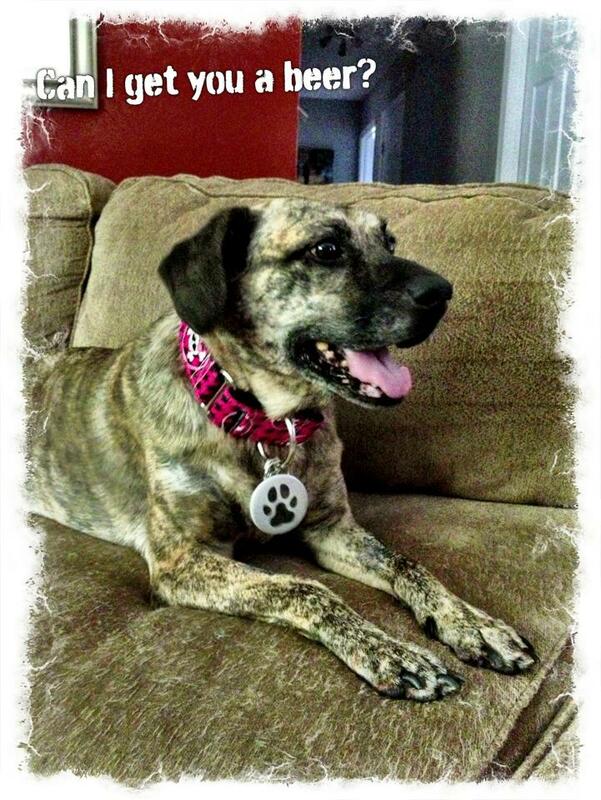 A few weeks ago, I won a Toby and Max “Rescued & Loved” necklace in a giveaway at Pawsitively Pets. Like the saying, the pendant can actually pull double duty – as an accessory for you or your pet. So far at our house, my neck is the only one it has decorated. I always get compliments when I wear it. 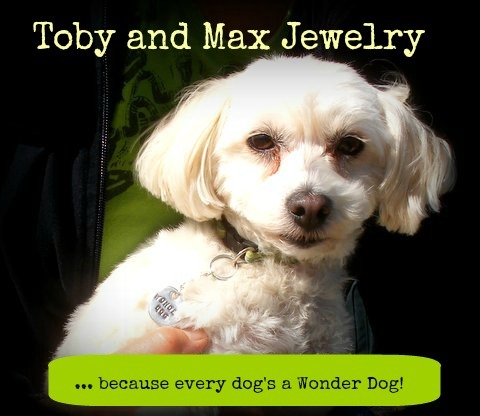 Toby and Max is the jewelry company of designer Sandy Comstock, a longtime advocate of animal rescue organizations and a big time dog lover. Toby and Max was named after her beloved rescue dogs. The all USA-made line of products includes an array of inspirational jewelry in sterling silver, pewter, and bronze and a whole category of Dog Lover designs, several of which appear in my Valentine’s Day Gift Guide for Dogs and Dog Lovers. 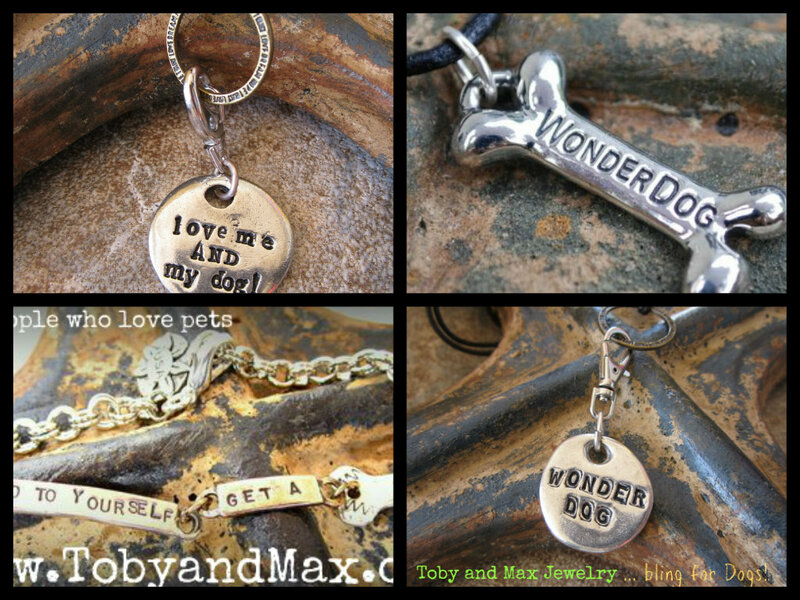 The Toby and Max “Rescued & Loved” pendant/pet tag was featured at last year’s Emmy Awards gifting suite benefiting the Humane Society of America. A portion of all sales of that item benefits animal rescue organizations throughout the U.S. and Europe. As the sponsor of today’s post, Toby and Max has also offered to reward one lucky Wayward Dogs reader with a “Rescued & Loved” pendant just like mine! One winner with a U.S. mailing address will be chosen at random via random.org. Winner will be announced as an update to this post on Saturday, January 26. The randomly selected winner is Diana S.
As a man of a certain, indeterminate age, Scooby the elderpin isn’t usually one for toys. 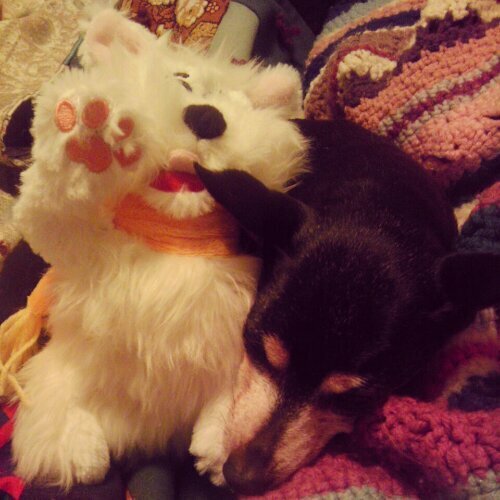 Yet when I dangled in front of his nose a stuffy that came in the mail yesterday, he snatched it decidedly. Puzzled, the big dogs tailed their Napoleonic pal as he trotted into the living room. Charlie Machete once tried to steal the loot right out of Scooby’s mouth. He was met with a growl from the old dog and a mean “No!” from foster mama. Scooby then settled into one of his three new beds and began to gnaw softly at the toy’s furry appendages. Less than three minutes later, he decided his new friend made a better snuggle buddy than a chew. 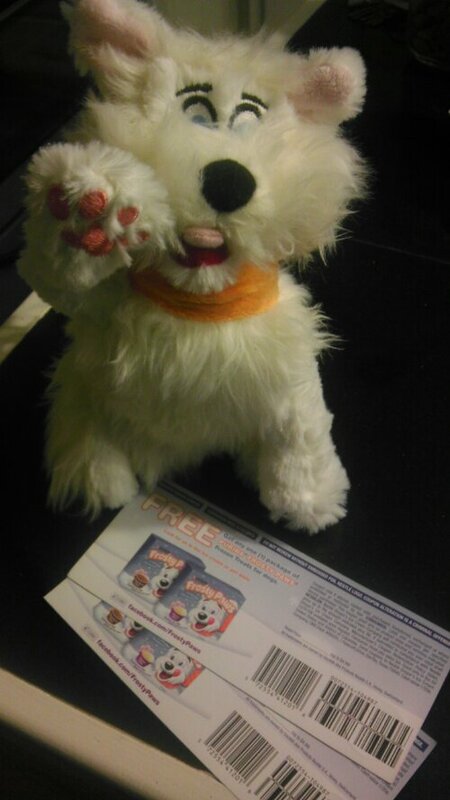 Scooby’s new toy was part of a Frosty Paws giveaway I recently won from DogTipper.com. You can be a winner, too. 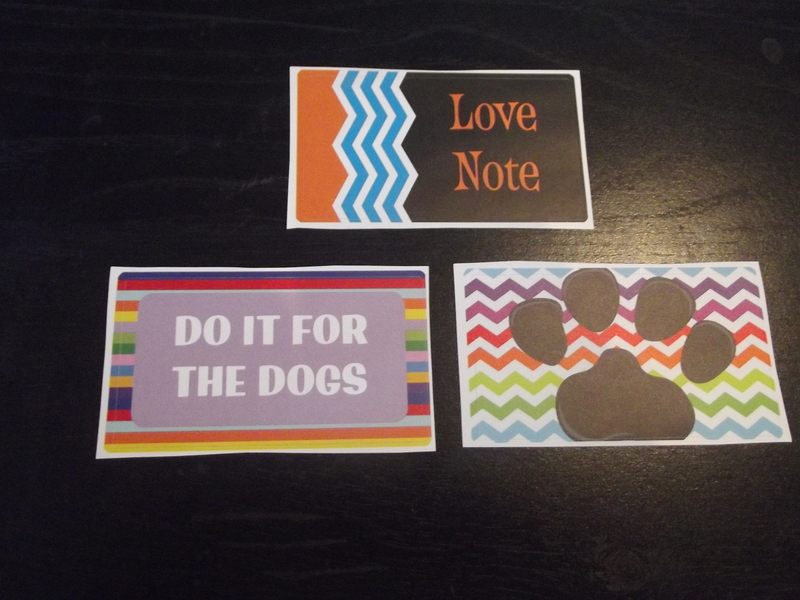 Be sure to enter the Love Note Valentine Giveaway! I love stories of people following their passions. That’s the story behind Love Note, a very tiny fashion line based in the Kansas City area. In this post, Love Note founder Jessica Thomas talks about how the brand supports her love of dogs and design. How did you get involved in animal welfare? 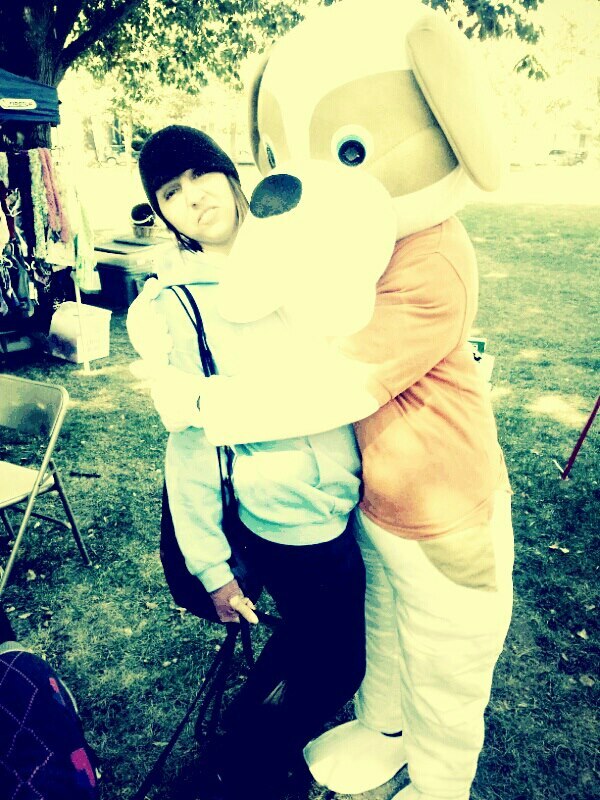 I have been a dog lover my whole life. I am currently 26 years old, engaged to be married in September and a proud dog mom! I have been working with dogs at a pet resort for almost 5 years. I rescued my first dog of my own in May of 2009. In the last year or so I started fostering with a rescue group one of my co-workers runs. How did Love Note begin? Love Note began in September of 2011. I had been thinking about starting my own clothing line for a while but I wanted it to be something different than every other line you see out there. So then I had the thought, why not give a portion of proceeds to animal rescue? That way it combines my love for fashion with my love for animals! I instantly started researching ways to make my dream a reality. Once I had designs made and shirts ordered I gathered up a group of amazing friends and held a photo shoot! It was a blast! 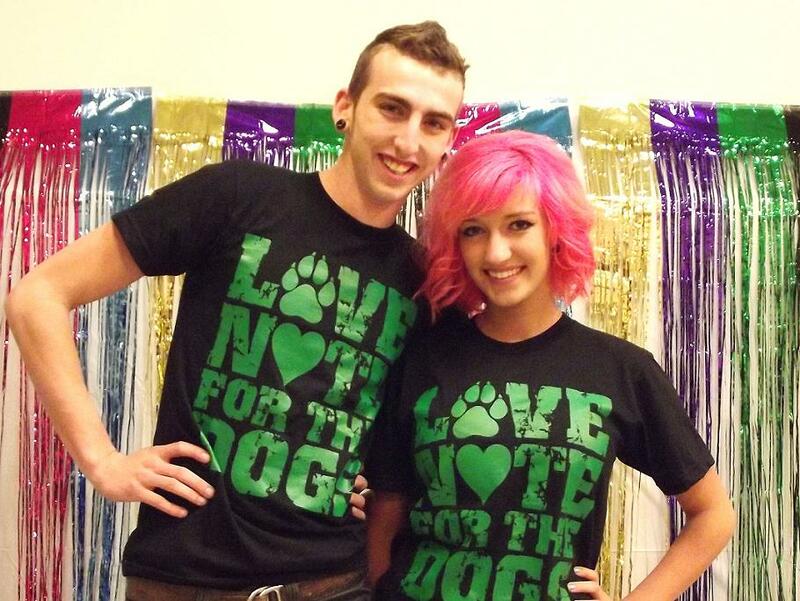 The first line of shirts released in October 2011.
Who creates the designs for Love Note products? 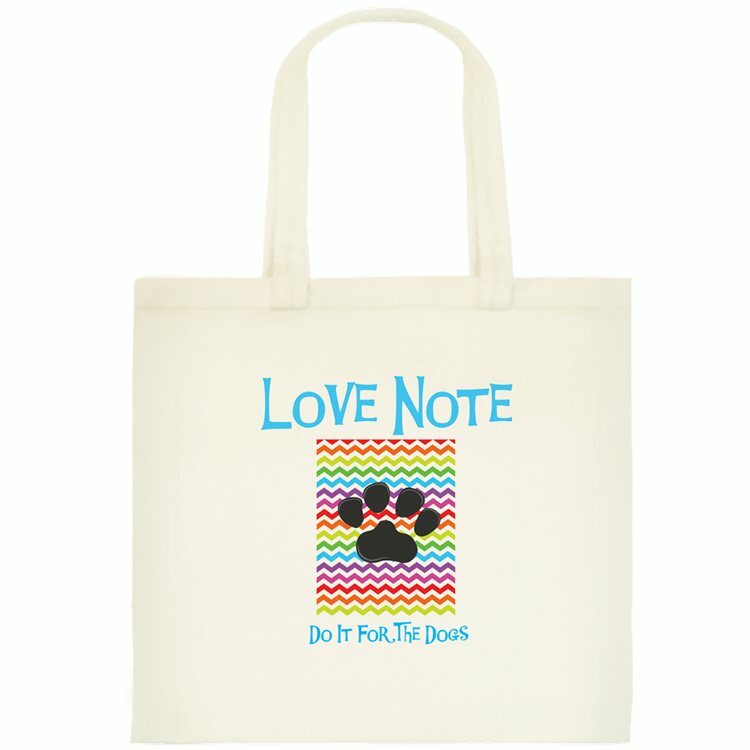 I create all of the designs for Love Note myself. I usually ask my fiancé for his opinion on everything though! All of the marketing, designing, ordering, etc. are all done by me! What else should people know about Love Note? 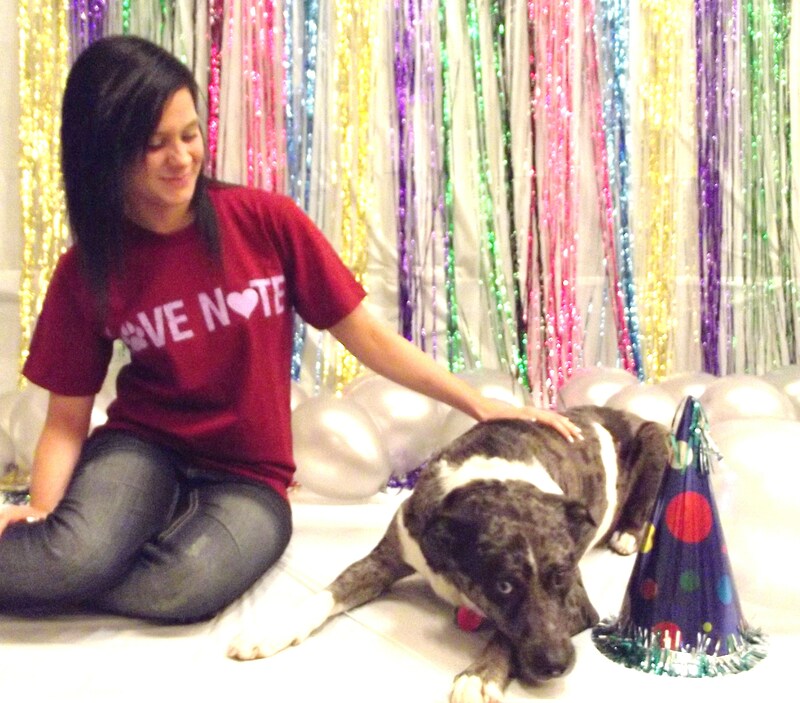 Love Note shirts are all printed on American Apparel, which makes them all super comfortable! A portion of proceeds from every item purchased goes directly to animal rescue, specifically Love Note’s partner rescue, Friends of Parkville Animal Shelter (FOPAS). You can find out more about FOPAS on their Facebook page or on their website, www.parkvilleshelter.com. Who is the special dog in your life? There are four special dogs in my life! 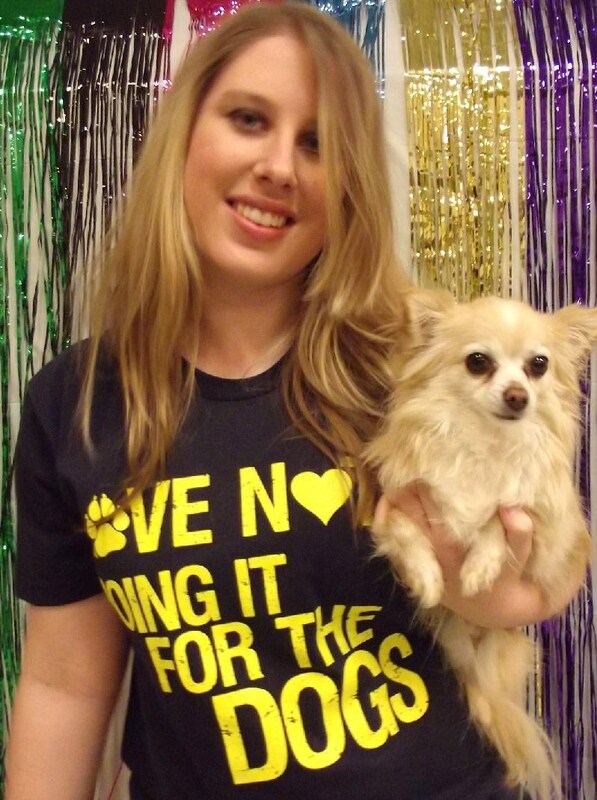 My first dog I ever owned myself is Lyric, a longhaired Chihuahua who is almost 5-1/2 years old! I then rescued Solo, my almost 4-year-old Border Collie mix from FOPAS. What are you giving your dogs for Valentine’s Day? For Valentine’s Day this year my fiancé and I may be having our engagement pictures done, so the dogs will get a full day outside at the lake (which is one of their favorite spots)! 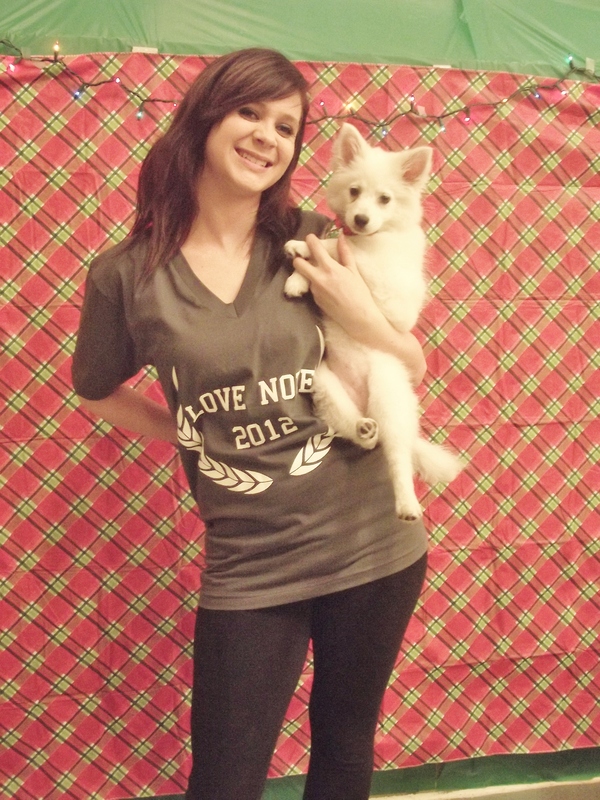 Want to win some Love Note gear? 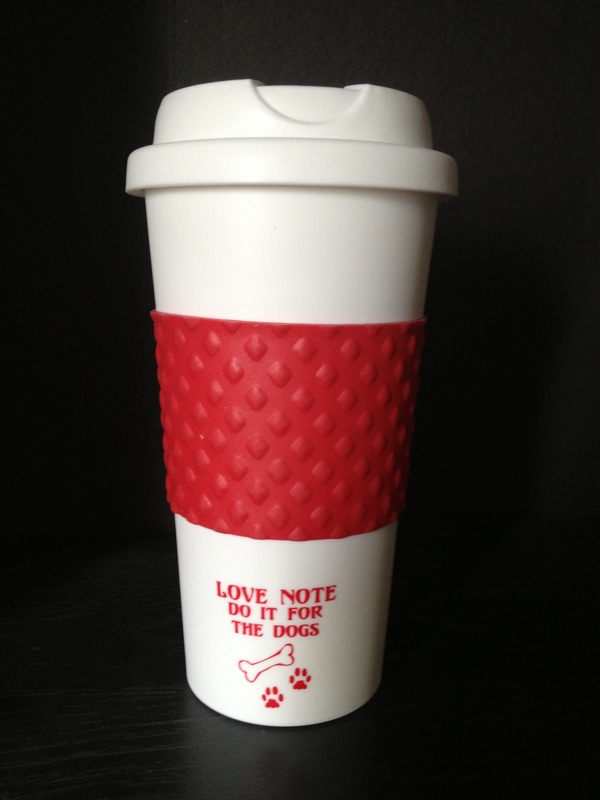 Love Note is giving away a travel mug and sticker set to 1 lucky Wayward Dogs reader! See below for your chance to win! You could win this mug! You could win these stickers! TO ENTER: Go to the Love Note website and come back with a comment on this post about the product you like best. Start your comment with LOVE NOTE LOVE! Example: LOVE NOTE LOVE! I’d look great in that v-neck! BONUS ENTRY: LIKE Wayward Dogs on Facebook. All current fans are eligible for the point, but you have to claim it. Leave a separate comment (or include in your first comment) saying you are a Facebook fan. Be sure to include your screen name if it is different than the name you are commenting as. PRIZE VALID FOR: Citizens of the U.S. GIVEAWAY INFO: The winner will be selected using random.org and announced on Sunday, January 20th, 2013 as an update to this post. I will also email the winner on the 20th for information on how to redeem their prize. This giveaway is not sponsored by or affiliated with Facebook in any way. This giveaway is now closed. The winner is Ashley Wright. Need more ideas for gifts that give back this Valentine’s Day? Check out Wayward Hearts, our Valentine’s gift guide for dogs and dog lovers. Let’s just rename this month already. It’s not October. It’s Dogtober. All of these special celebrations plus the milder weather also make this time of year ideal for outdoor pet-friendly festivals. And what better name for such a happening than Dogtoberfest? Incidentally, that’s the name of the main event on my calendar today: Dogtoberfest runs from 10 a.m. to 4 p.m. at Lake Fleming in Blue Springs, Missouri. Zach’s sister Bethany and their other sister their family dog Echo the elderbelle accompanied me to another Dogtoberfest a couple weeks ago in Lawrence, Kansas. 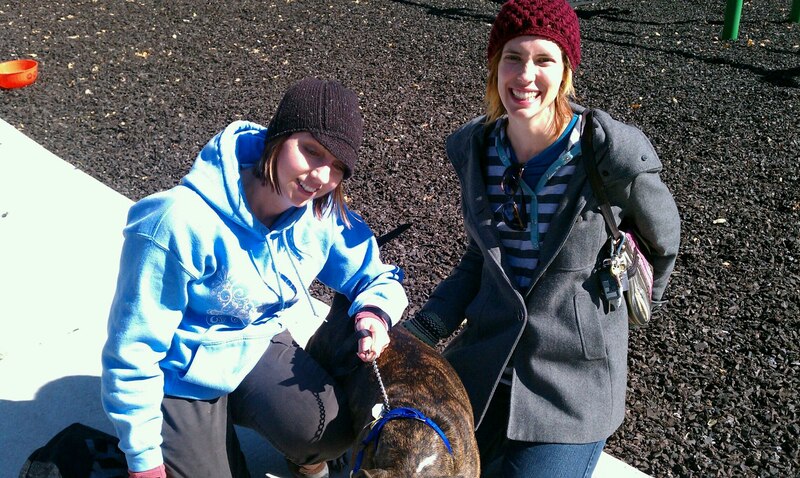 We visited our friends at the Midwest Adopt-a-Bull tent where Arria and other adoptables were on display. 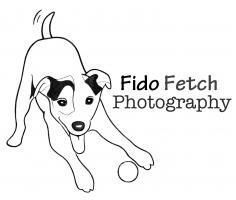 Amy from Fido Fetch Photography tried to snap a picture of Bethany, Echo and me. But the elderbelle got camera-shy. It’s too bad, too, because Echo looked pretty cute in the bandana given her by a Blue Buffalo pet food vendor. The navy handkerchief was among many trinkets and treats we got at the Lawrence Dogtoberfest. Because most of the edible items available at Dogtoberfest were not meant for human consumption, we headed out of the downtown park for lunch. We had no trouble finding a restaurant with dog-friendly, outdoor seating. While we sipped fancy lattes and homemade hummus at Mirth Cafe, Echo hammed it up for a little boy on the other side of the window. The elderbelle did all of her tricks – sit, shake, lie down and play dead, but he was still afraid to pet her on his family’s way out. Before our hummus and veggies arrived, Bethany noticed a pin-up fashion boutique next door to Mirth Cafe. She didn’t buy any of the retro dresses she spied, but if she had, I wouldn’t have teased her for wearing one right out of the store. After all, what looks better on a bully breed lover than pin-up style? On that note, I’d like to remind everyone about Fashion-a-Bull Fall at Madewell, the shopping party and Midwest Adopt-a-Bull fundraiser I’m co-hosting with a real pin-up model one week from today. Katty Delux, The Pin-Up from the Paris of the Plains, and I will be hyping this event throughout the week on our blogs and social media. We hope for a big turnout and lots of raffle ticket sales for this special Dogtober event! If you can’t make it, we still invite you to make a donation to Midwest Adopt-a-Bull. Katty also coordinated a special pre-event giveaway for pin-up fashion lovers who help us grow awareness about our event and the bully breed cause. Follow the instructions at the link below for your chance to win a $20 gift certificate from Retro Vixen. Last night, I followed a friend’s link to a bunch of funny animal photos and I laughed so hard I cried. I’m gonna give you the chance to giggle, too. But first, here are some other links. If you haven’t already entered the Baltimore Bumble Crafts shampoo bar giveaway, do it now! This is the last day to enter. By participating and sharing the giveaway details with friends you not only stand to win a cool product but will also help grow awareness about this blog and Baltimore Bumble Crafts, a small, woman-owned business. Click here to enter now. 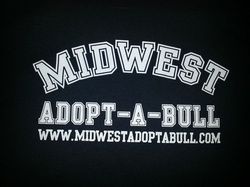 Make sure you have the date saved for Oct. 28 shopping party and raffle fundraiser for Midwest Adopt-a-Bull. If you are in the Kansas City area and want to buy raffle tickets in advance, contact me. You can also RSVP on Facebook. More details coming about that event next week, including how you can be part of it even if you live far away. Number 21 is not the funniest, but it does show a no-nonsense golden retriever haircut I wish Luke had. Happy Friday, everyone! What’s in store for you and your pups this weekend? Like a great many working people, I spend my weekdays away from my dogs. Pets are not allowed at the office where I compose corporate communications and manage social media efforts for Staples Promotional Products. Yet, the group I work in does have a pair of canine mascots. Luke and Charlie Machete in plush. By coincidence these plush pups happen to be almost-life-size doppelgangers of my golden retriever Luke and black foster dog Charlie Machete. The stuffed dogs are coming in quite handy this week as models for the items being given away in a contest I helped coordinate for the company’s corporate blog, YourBrandPartner.com. Unlike this blog, the site I oversee for work does giveaways all the time. This is the first contest we’ve run so far that pertains to pets. Because it’s dog-specific and includes an opportunity to help homeless dogs, I wanted to let my Wayward Dogs readers know about it. Charlie Machete, the office version. 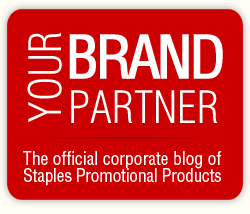 The contest works like this: People submit a photo of their dog, along with the name and website of their favorite 501c3 non-profit animal shelter or rescue group and why they think that organization should win a gaggle of gifts from Staples Promotional Products. The winner will be selected based on the case made for the non-profit and the entrant’s social media engagement related to the contest. The prize is a personal pet package for the winner and a bigger grab bag of goodies for the dogs in the designated non-profit. Not all of the prizes have arrived at Staples Promotional Products’ Overland Park, Kansas, headquarters yet. Among the items I wish I could take home with me are a bone-shaped, heavy absorbency pet towel and a couple sets of blingy collars and leashes from Diane Katzman Design. Other items being given away include pet bath care items – shampoo, detangler, perfume – food bowls and some gorgeous reusable tote bags with bulldogs on them. The prizes are all provided by vendors who make all manner of products that companies and organizations can customize with their own logos to promote their brands. Pet-themed promotional products are ideal giveaways for a variety of businesses, including retail pet boutiques, pet food companies and even shelters. The items from the contest that will be going to the winning non-profit group include multiple useful items, such as collars, leashes and bandanas that I think would be great to put in adoption kits that go with pets when they go to their forever homes. Now, are you ready to enter this contest? Office Luke wishes you good luck! Fun Fact: I’ll be receiving a goody bag of promotional items from Wayside Waifs as part of my runners’ package when I participate in my first 5K in September. Big thanks to everyone who is sponsoring Charlie Machete and me in the run! You are the best friends and readers ever, and you can bet I’ll be calling out all of you publicly in a future post! 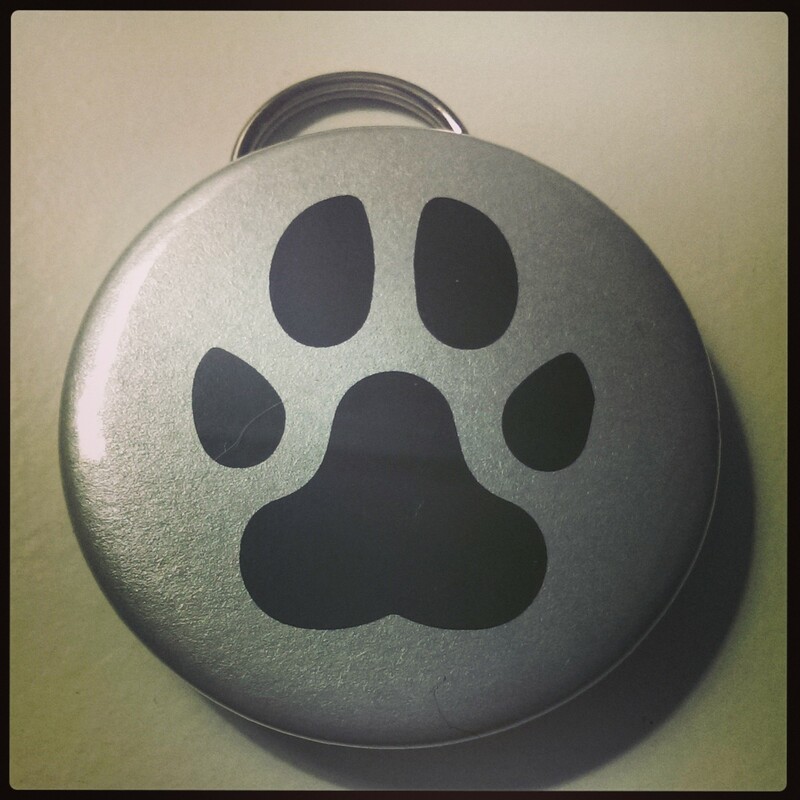 Have you ever received a promotional gift from a company that your pets could use? If so, what was it and why did you get it? 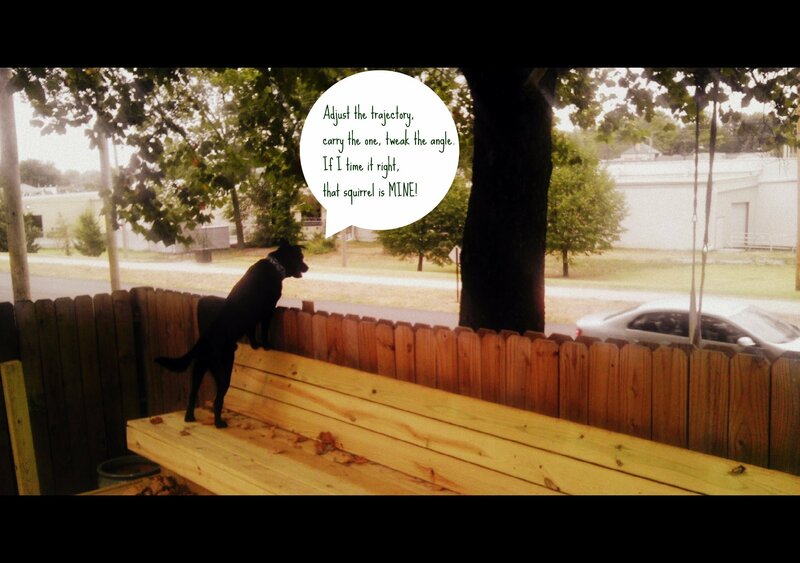 Those themes sum up what readers thought high-perching deck dog Charlie Machete was saying in this picture. Thanks to everyone who commented on Friday’s post and suggested what our foster dog could be saying to the world beyond his awesome, new deck. Here are my three favorite interpretations. Click the pics to see them in full-size. You can also find these speech bubble pics over on the Wayward Dogs fan page on Facebook. Feel free to download the original image and meme it up yourself. I used my Google+ account for meme-ification. 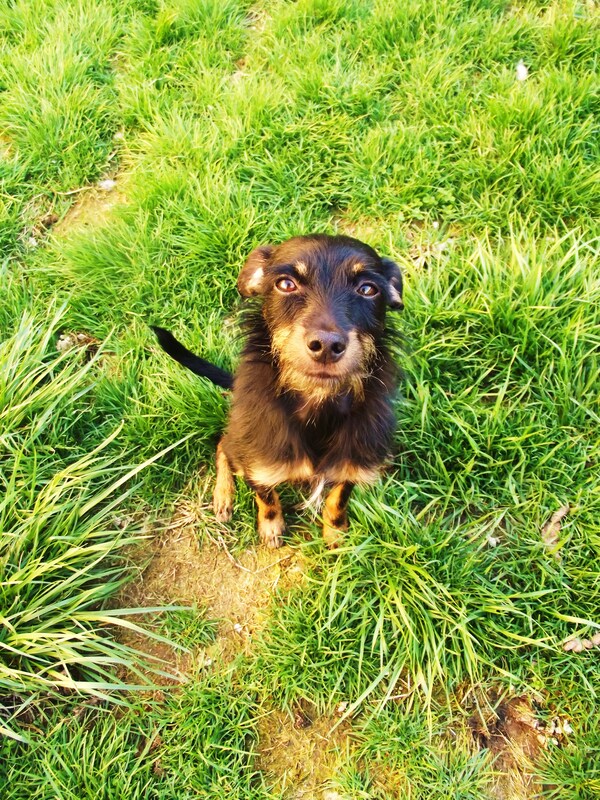 If you’d like Charlie Machete to become your loving companion and guardian of your yard, check out his Adoptable profile. He’s available for adoption through Midwest Adopt-a-Bull. Do your dogs think they are responsible for guarding your property? Share your stories in the comments. Come back tomorrow for a special guest post that’s all about guard dogs and what kind of dogs are recommended by an actual home security company.